I.M.Digitalis Software,S.L., holder of Tax ID (CIF) B30721898, in compliance with the provisions of article 10 of the LSSICE informs you that the trade company is registered in the Mercantile Registry of Murcia, with registered office in Avda Bruselas S/N, Murcia, (hereinafter, the Alfonso XIII). Alfonso XIII places at your disposal, through hotelalfonsoxiii.com, information and services related to our hotels such as on-line room bookings, pre-booking service, hotel locator, rate locator, pre-booking of meeting rooms and conferences, customer service and job opportunities. (Hereinafter, ?the services?). The use of the page and/or its services will imply the full and unreserved acceptance, and validity, of all General Conditions contained in the latest updated version of these rules of use. Therefore, the user should be aware of the importance of reading them each time they visit our website. The access and/or use of certain services offered to users (hereinafter, the user) on hotelalfonsoxiii.com may be subject to certain conditions that, depending on the cases, replace, amend and/or complete these rules of use, therefore, the user, prior to accessing and/or using these services and content, must read and accept these conditions. 2.1 The user undertakes to use the website hotelalfonsoxiii.com, and the services made available through it, in accordance with the law, morality, good customs and public order, as well as the provisions of these rules of use. As a result, they are not obliged to use the website hotelalfonsoxiii.com or its services for purposes or effects that are illicit and/or contrary to that established in these rules of use, harmful to the rights and/or interests of third parties or that in any way may damage the website hotelalfonsoxiii.com and/or its image, impede its normal use, or the services accessible through it, for all other users. 2.3 The users of hotelalfonsoxiii.com must observe any instruction that, through the e-mail, hotelalfonsoxiii.com, is sent by Alfonso XIII or its duly authorised staff. At Alfonso XIII, we follow a permission marketing policy, therefore we ask for your consent with regard to the Commercial Communications that we may send to you by e-mail. We inform you, in accordance with that established in articles 20 and 21 of the LSSICE, that the data you provide to us will be used to send these commercial communications about our services that may be of interest to you, for which you provide your consent for the electronic commercial communications to be sent (e-mail, SMS, etc.) about all the products and services we offer, as well as others related to the hotel, travel, gastronomy and leisure sectors. We also inform you that the personal data you supply to us may be transferred to companies from the Sercotel Group to which we are associated for the aforementioned purposes. Alfonso XIII reserves the right to exclude, temporarily or definitively, users in any of the following cases: due to a breach of any of the General Conditions of Use established in this document, due a breach of the laws, morality or public order. Furthermore, it is not permitted to use the website or our services in such a way that includes (i) material that violates unduly authorised copyrights, or that violates any other Intellectual or Industrial Property right, (ii) material that is offensive or violates public security and national defence, (iii) material that advocates terrorism, racism, or other discriminatory behaviour based on race, gender, religion, opinion, nationality, disability or any other personal or social circumstance, (iv) material that violates young people and children, in particular that of a pornographic nature, especially if it violates minors, (v) material that is threatening, defamatory or incites violence. In accordance with that established in the LSSI, Alfonso XIII will proceed to interrupt the service if it becomes effectively aware that any illicit activity is taking place or any third party property or rights have been harmed. The exclusion of the user does not mean that Alfonso XIII will not take the corresponding legal actions or indemnities that correspond to it by law. All information contained on hotelalfonsoxiii.com, its graphic design and the code in HTML, JAVA, JAVA Script or Active X language is protected by copyrights or other intellectual property protection rights. These rights belong exclusively to Alfonso XIII or its licensors. The Internet users who access this website may view the information contained therein and make private downloads or copies on to their computer system, provided that the elements copied are not then transferred to third parties or installed on to a server that is connected to the Internet or a local network. Without prejudice to that contained in these Rules of Use, it is not permitted to distribute, amend, transfer, publicly communicate, copy or perform any other act on part or all of the information published on hotelalfonsoxiii.com, without the prior authorisation of Alfonso XIII. 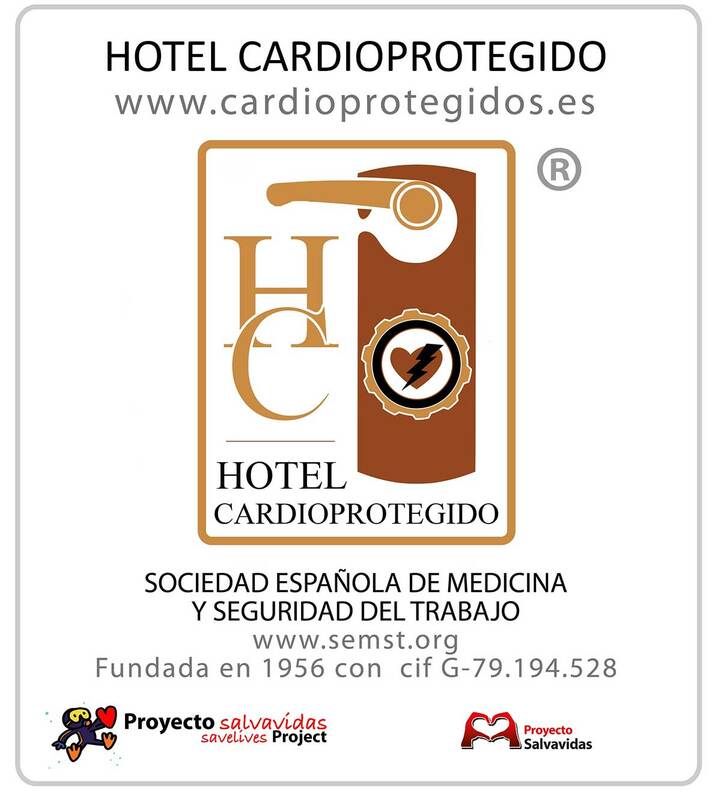 In the event that any user or third party believes that any of the content existing on hotelalfonsoxiii.com has been accessed in order to violate copyrights or other intellectual property protection rights, we ask that they notify Alfonso XIII of this circumstance by sending a notification to the e-mail address reservas@hotelalfonsoxiii.com. This must include at least the following information: a) Name, address, telephone number and e-mail address of the claimant, b) Details of the holder of the copyrights or other intellectual property protection rights that could have been violated, c) Indication of the violated content and its location on the website hotelalfonsoxiii.com, d) Declaration that the content has been accessed without the express authorisation of the owner of the copyrights or other intellectual property protection rights. Without compromising that outlined in the above paragraphs, Alfonso XIII reserves the right to defend itself against complaints based on its current regulations on advertising and copyrights, or other intellectual property protection rights. 7.1 In the event that hotelalfonsoxiii.com includes links to advertising or websites or third parties, Alfonso XIII is not obligated to control and does not previously control, approve or endorse the services, content, data, files, products and any type of material existing on the website(s) of third parties. Therefore, Alfonso XIII will not be liable, under any circumstance, for the legality of the content of the website(s), and it will be the sole responsibility of third parties to, including but not limited to, respect the legality, morality, good customs and public order of the content, as well as ensure that they do not harm any rights of third parties. The existence of a hyperlink does not presuppose a relationship of any kind between Alfonso XIII and the owner of the website on which it is established. 7.2 Users or third parties who intend to establish a hyperlink with the website hotelalfonsoxiii.com must ensure that the hyperlink only allows access to the pages or services of the website hotelalfonsoxiii.com, but does not offer, including but not limited to, the reproduction of content, deep-links, browsers, or inaccurate or incorrect statements about the contents or the website hotelalfonsoxiii.com. With the exception of the signs forming part of the hyperlink, the user will ensure that the website on which the hyperlink is established does not contain trademarks, trade names, shop signs, denominations, logos, slogans or any other type of distinctive sign that belongs to Alfonso XIII. 8.1 Alfonso XIII does not guarantee the reliability, availability or continuity of the operation of its website or the products or services made available to the user, for which it excludes itself from any liability for damages and/or losses of any nature that may derive from the lack of availability, reliability or continuity of its website or services. It will, however, intend to provide, to the extent of its possibilities, technical assistance to the person affected. Alfonso XIII will not be liable for the interruption of the service, suspension, temporary loss of the server or termination of information or services, nor for any possible omissions, losses of information, data, settings, improper accesses or breach of confidentiality that are caused by technical problems, communication problems or human errors due to third parties or that are not attributable to Alfonso XIII. 8.2Alfonso XIII is not obligated to control and does not previously control the absence of viruses or elements in the content that may cause changes to the software or hardware of users or persons who visit the website. Therefore, it will not be liable for damages and losses of any nature that may derive from this. 8.3 Alfonso XIII is not obligated to control and does not previously control, approve or endorse the services, content, data, files, products and any type of material existing on the website(s) of third parties. Therefore, Alfonso XIII will not be liable, under any circumstance, for the legality of the content of the website(s), and it will be the sole responsibility of third parties to, including but not limited to, respect the legality, morality, good customs and public order of the content, as well as ensure that they do not harm any rights of third parties. In accordance with the LSSICE, Alfonso XIII will not be liable for the information that we may send if we are not effectively aware that the activity or information we send is illicit or damages the property or rights of third parties. It will be understood that it was "effectively aware", in accordance with the LSSICE, when a competent body has declared the illegality of the data, ordering its withdrawal or the access thereto is impossible, or it has declared the existence of the damage and Alfonso XIII was aware of the corresponding resolution. 8.4 Alfonso XIII is not obligated to control and does not control, nor does it guarantee the reliability, availability or continuity of the operation of the products or services made available to the user by third parties housed outside of hotelalfonsoxiii.com, for which it excludes itself from any liability for damages and/or losses of any nature that may derive from the lack of availability, reliability or continuity of its website or services. The user will be liable for damages and/or losses of any nature that Alfonso XIII may suffer as a result of the user breaching the law or any of the general conditions contained in this agreement. If one of the stipulations of these Rules of Use is declared null or inoperative, all other Conditions will be maintained under the agreed terms. Alfonso XIII undertakes to replace the stipulation affected by the nullity and keep it as close as possible to the intention initially perceived by the parties. Alfonso XIII has defined its data protection policy in accordance with that established in EU Regulation 2016/679 (General Data Protection Regulation), with regard to the data you freely and voluntarily provide through our website. To consult our policy, click here. For any complaint or claim related to the use of the website and / or its services, as well as the services offered by Alfonso XIII, you can contact us using the contact data provided on the top of the page.